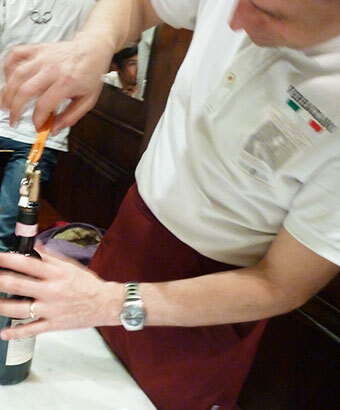 This sommelier course is included in the professional chef training course. Students will learn from a professional sommelier how to choose Italian wines, how they are made, the difference of grapes, how to taste, and how to handle them. They will also learn the rules for pairing food with wine. The program also includes a guided visit to a famous winery in Tuscany, gaining a comprehensive knowledge of Italian wines. Sommelier training is taught with free English interpretation service. *Program is subject to change without prior notice.